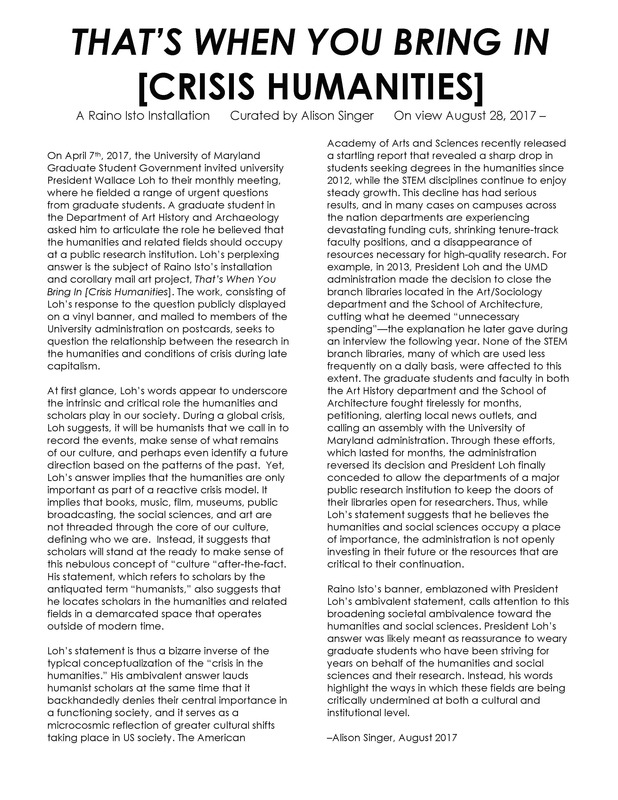 This project considered University of Maryland President Wallace Loh’s response to a question about the role of the humanities and social sciences in the contemporary moment. 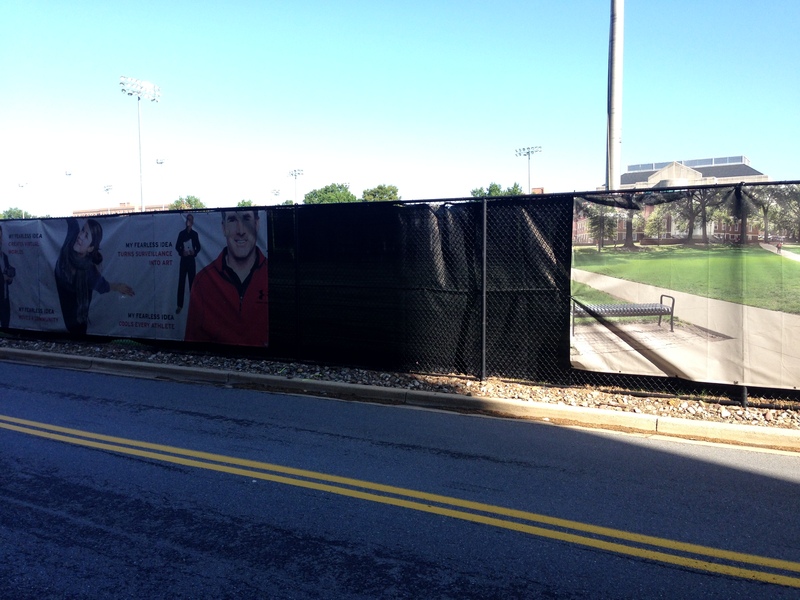 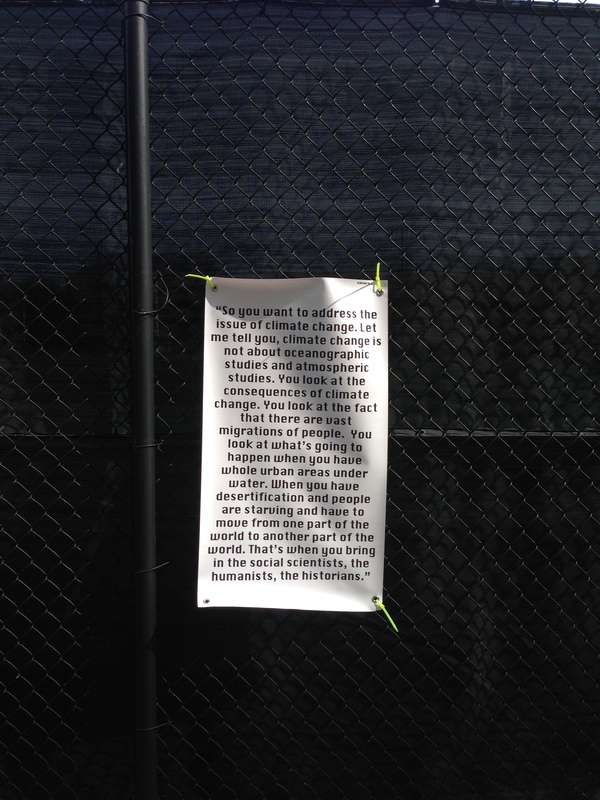 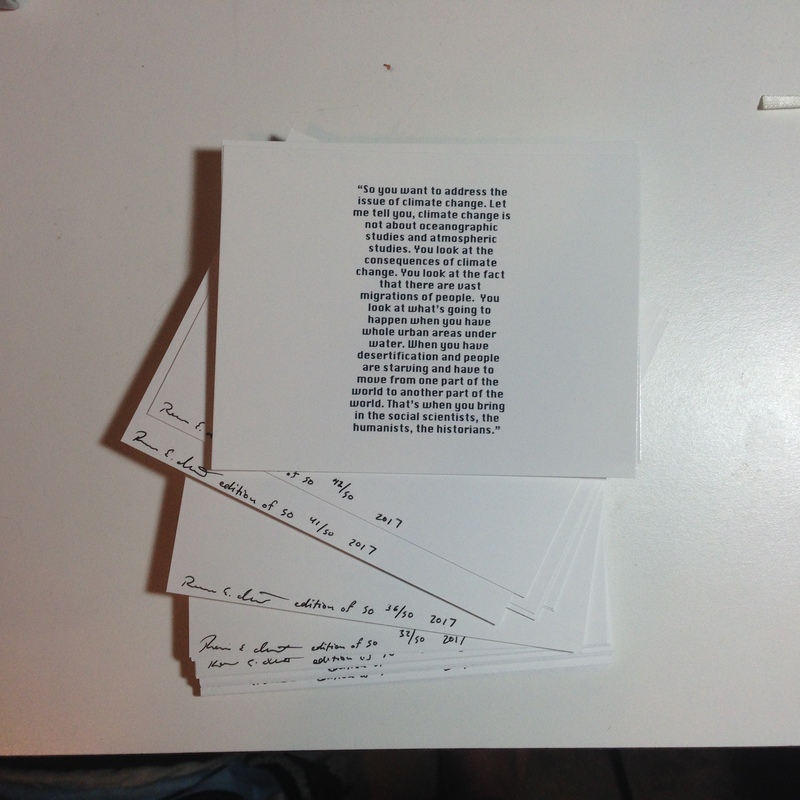 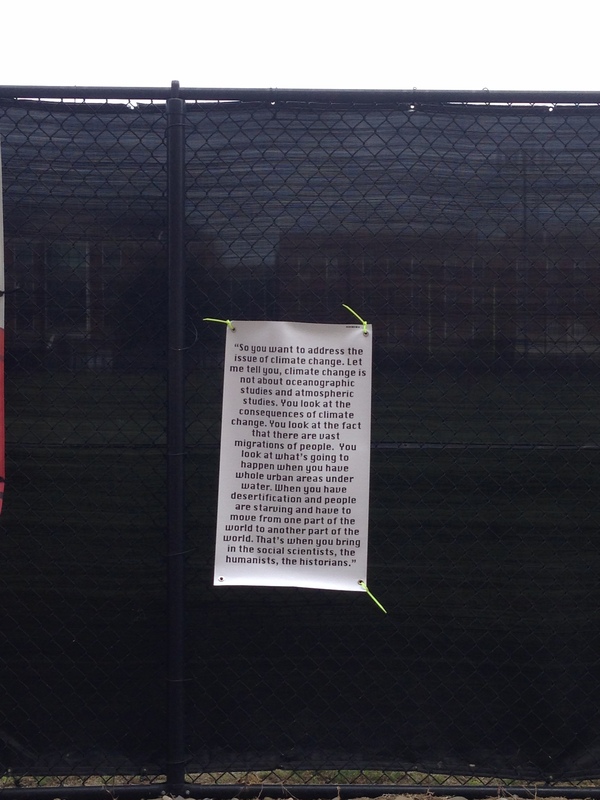 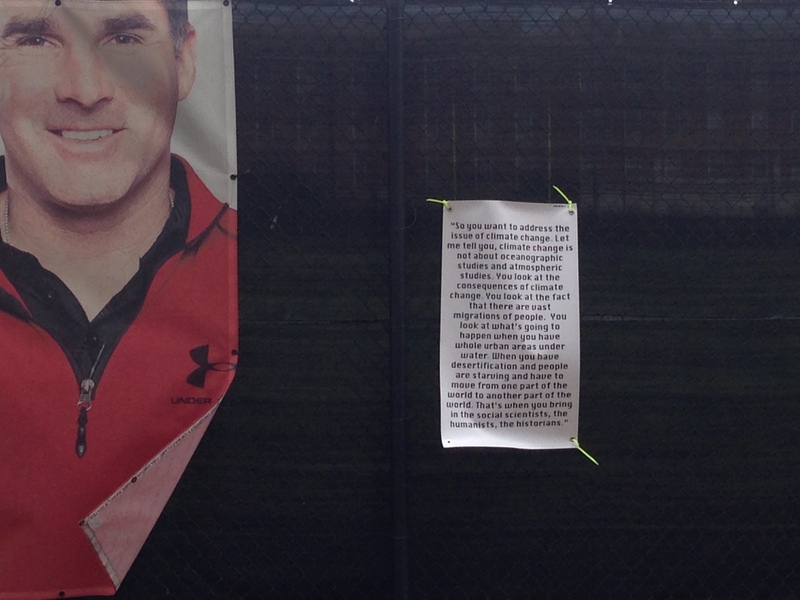 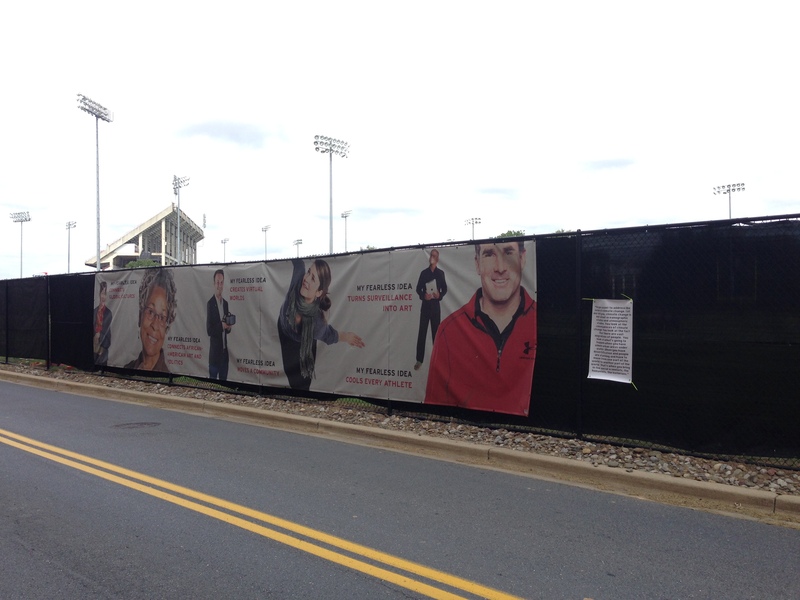 The project took the form of a set of postcards mailed to members of the university administration (including Loh himself), as well as a public installation of a banner on a fence adjacent to the university’s practice football field. 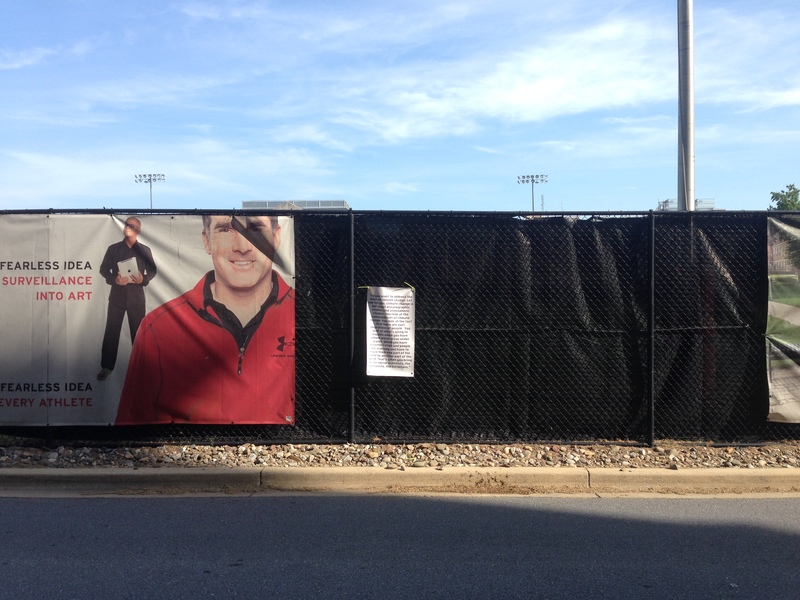 The banner was removed by the university administration within a week. 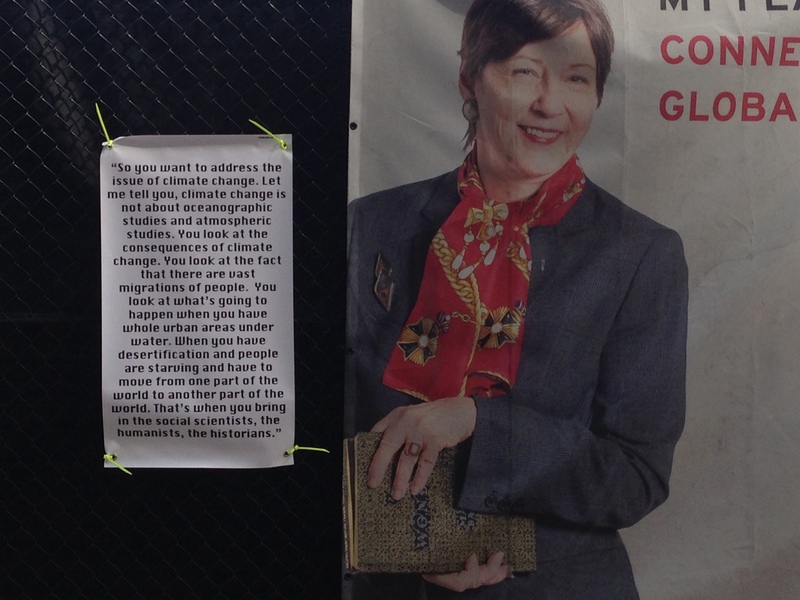 The intervention was curated by Alison Singer.